Dev Information Technology is engaged in the business of providing a range of Information Technology (IT) solutions. It provides various information technology and consultancy services, including enterprise solutions, e-governance solutions, ERP and CRM Implementation, IT – infrastructure services, website development, web hosting solutions and licensing solutions. The company is also into custom software development with well-defined processes to support its clients and partners in –web portals, web & mobile applications, responsive websites, their SEO & Social Media Marketing as well as Microsoft Dynamics ERP and CRM. In addition to above, Dev Information Technology also provides end-to-end IT services with strong managed IT team. The company can help its clients with planning, architecting, setup & implementation, migration, management & support of IT infrastructure. It has also completed an e-governance project in Guyana, South America as well as served many overseas and local private sector enterprise projects. 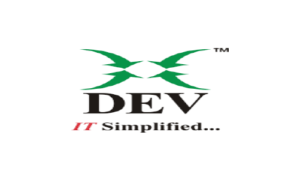 DEV IT is headquartered in Ahmedabad and has its branch offices in Ahmedabad, Pune and Jaipur. Dev Information Technology IPO allotment status is now available on Link Intime’s website. Click on this link to get allotment status. Dev Information Technology IPO ALLOTMENT KAB HAI ???????? Den info gmp rate ? Dev information ma Applied Karai ke Nahi? Anybody’s know gmp for focus lighting and Dev? Good investment but 1.26 Lacs investment is a very high amount in SME IPO. Yes bank and Axis bank netbanking offer online applications in SME IPOs. I’ve never used them but you can try these out. Bank of Baroda provide sme IPO subscription facility.first you can register your demat account and then apply from BOB. asba se invest kar sakte hai issko kya ???? is this good ipo for investment ? ?